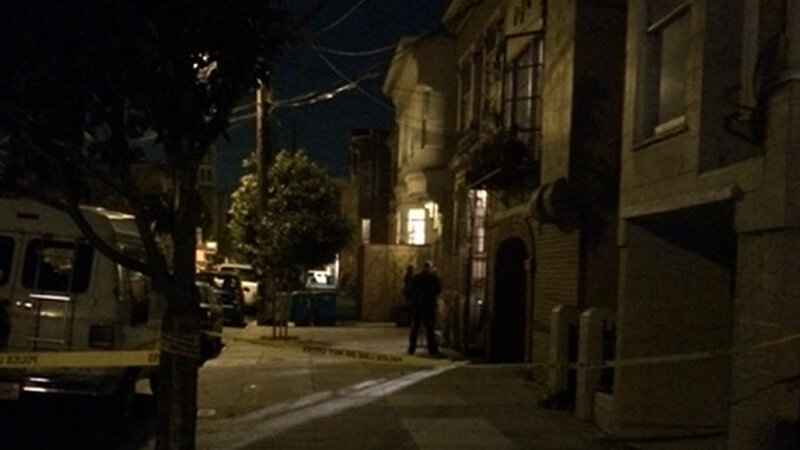 San Francisco police said four people were shot in San Francisco's Mission District Wednesday night. SAN FRANCISCO (KGO) -- San Francisco police are investigating two separate shootings that left six people injured Wednesday night. The first shooting occurred around 10:15 p.m. in the 1100 block of Alabama Street near 23rd Street, according to police. Four people were standing in front of a building before being shot, three hit in the leg and one in the arm. All four victims were taken to San Francisco General Hospital with non-life threatening injuries, police said. Three unidentified men were taken into custody for the first shooting, according to police. The second shooting was responded to around 11:15p.m. in the 1300 block of Natoma Street near 14th Street, police said. Two people were standing in front of a building when two suspects approached them and opened fire, hitting one victim in both legs and the other in one leg, according to police. Both victims were transported to the hospital and are in stable condition. Two Hispanic men in their 20s have been taken into custody as suspects for the second shooting, police said.